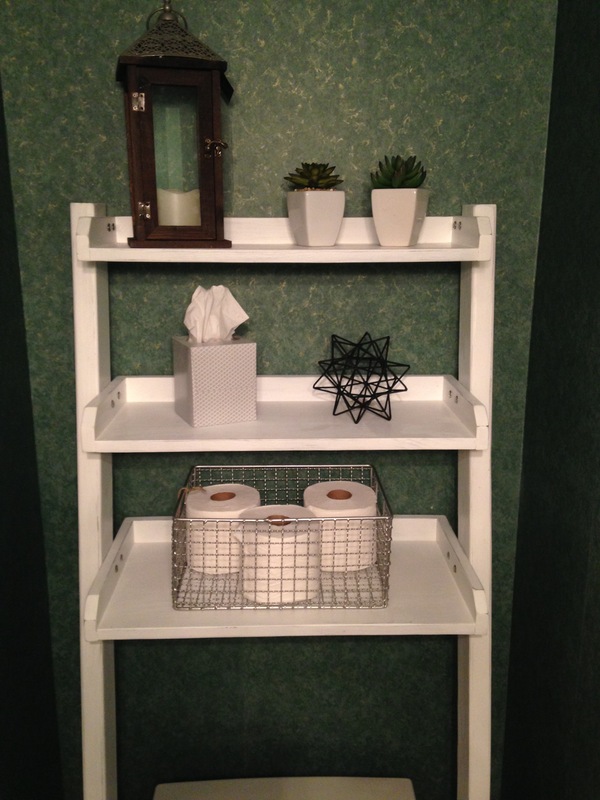 A customer asked me to make two ladder shelf units for them for their bathrooms. Sides made at angle to lean against the wall. She sent me this picture of one of them in place.